And three (!) EN goals at the end to finish the Lightning season with a 7-3 loss and a first-round sweep. Now, is that better or worse than how the Sens fans feel? Pacioretty is putting up some points. So much for cracking under pressure. Casperetti . Max patioready. All just nonsense. 4g 10pts in 4gms, not too shabby! I like seeing him do well. In Montreal, he was expected to drive the offence. Ridiculous. He's not that kind of player. In Vegas, he is playing with better linemates than he ever has in his life and is no longer asked to be the catalyst for the FW unit. He's still the same player, but the expectations and context are different. Also, he's finally gotten on one of his hot spells during a playoff run. Commandant always said it was a roulette wheel as to whether and when that would happen, and now it has. Ya this is sort of what I'm pointing out. He hit the streak at the right time this time. 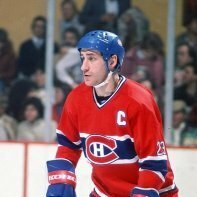 The Habs have had a history over recent decades of asking the wrong players to be true core pieces driving the team. It started with Brisebois, a quality second-pairing guy miscast as a #1 defenceman. Then we asked Kovalev to be the key cog rather tgan a deadly supplementary piece - a crazy thing to ask of a notoriously mercurial player. Next it was relying on a very good, but very streaky, goal-scorer to carry the team in Patches. What you need from your foundation pieces is consistently strong performance. Not 'hoping they get hot at the right time.' Fans get angry when a guy like Patches doesn't deliver, but they too seldom ask why he is expected to carry the load in the first place. Same with Sergei Bobrovsky being bad in the playoffs. 5-0 for Dallas! I like it! Man, that was an entertaining Flames/Avs game!! McKinnon is the best player by a mile in this series. So dangerous every time he gets the puck. Great to see them beat Flames, another upset would be neat.